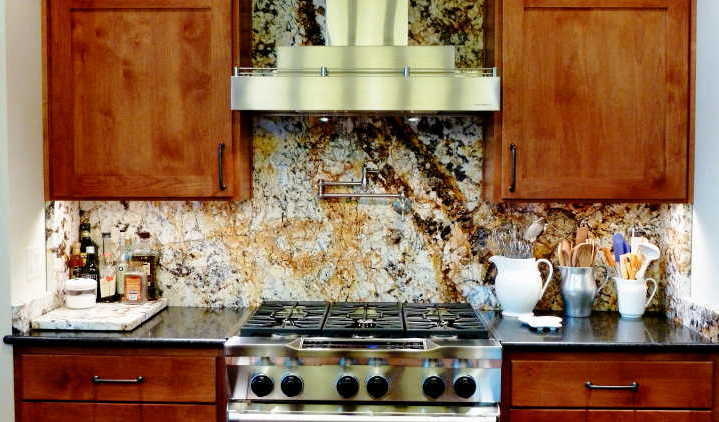 One of our most popular upgrades is a backsplash made from the same slab material as the countertop. We can fabricate and install backsplashes in varying heights from a common 4" to a full height backsplash that extends all the way to the bottom of the upper cabinets. We can also cut custom designed backsplashes into unique shapes. 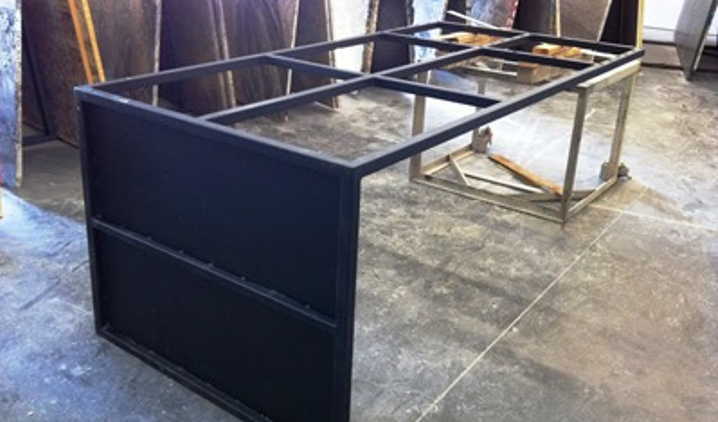 From simple metal corbels, to complicated metal frames, Imagine Stoneworks can help you with the design and fabrication of most custom metal supports. 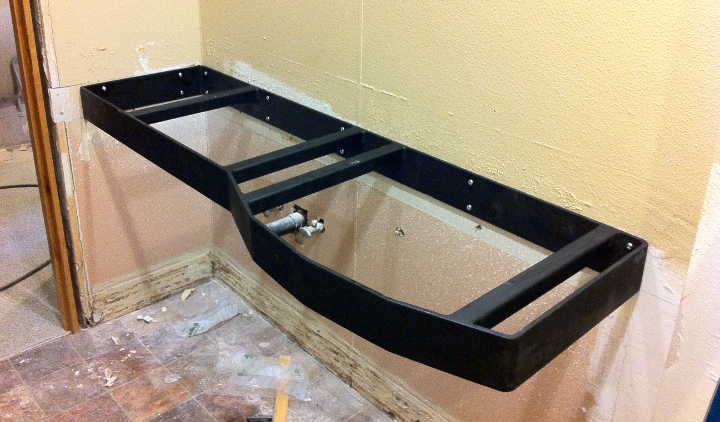 Double bathroom sink metal frame. Curved bathroom sink metal frame. 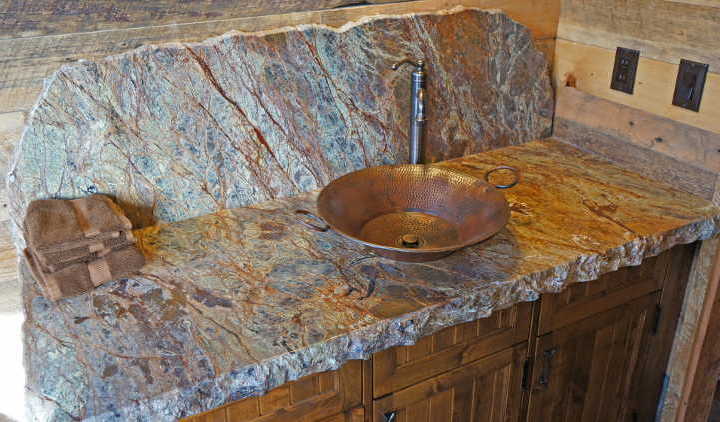 If you are doing a remodel, we can help with the removal of your old countertops. We have the proper tools, staff and experience to cleanly and efficiently remove your old materials. 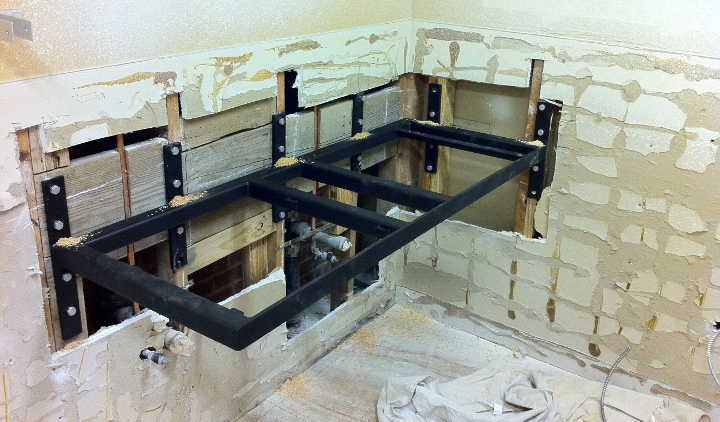 Almost all countertop remodel jobs require plumbing services. The sink needs to be disconnected before installation and then reconnected afterwards. Also, natural gas plumbing work is often necessary for gas cooktops or stoves. We can help coordinate this service for you so there is no scheduling confusion or conflicts. We frequently come across jobs that require some electrical service. Cooktops and stoves often need to be hardwired to the house after countertop installation and almost all jobs that include a full backsplash require electrical work to the wall outlet installations. 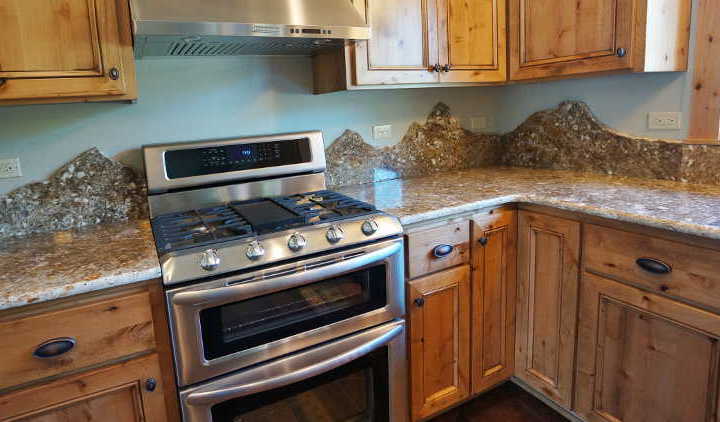 We offer services that disconnect and reconnect any type of cooktop downdraft during the demolition of your old countertop and re-installation of appliances.